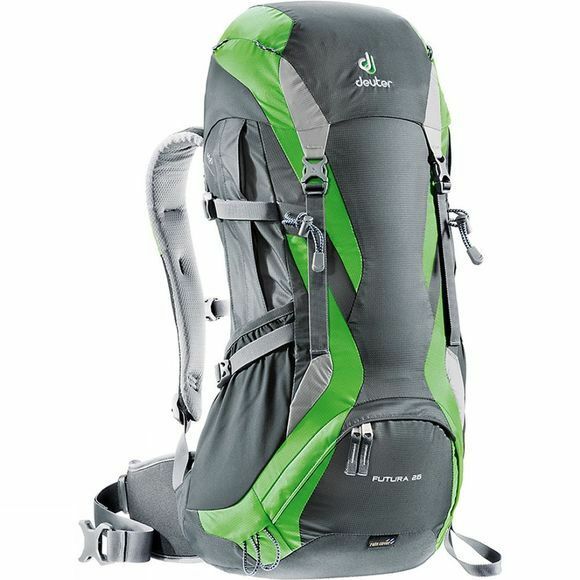 The Futura 26 Rucksack features Deuter's top back system for comfortable lengthy day hikes, multi-day mountain excursions or via ferrata's. The Aircomfort FlexLite System features a flexible twin-frame construction, an effective, three sided air circulation and is very lightweight. The pack comes prepared with a host of smart details such as its special buckle.